How can I help CFL? The starting point of our educational thinking is that there is a crisis in human society at multiple levels: personal, political and environmental. Personal and social problems are mirrors of each other, and are intimately connected. In other words, human needs and desires have created the social structures we live in today, and any examination of these structures or any attempt to change them must at least begin with an examination of personal, “subjective” emotional patterns. Is there a different way of living, both in personal and in social terms, that is not conflict ridden but essentially peaceful and whole? What role does education have in this process? In the context of these questions, our education encourages a deep learning, both from adults and children, into the nature of our daily lives and into the social processes that surround us. When we say “learning,” we don’t only mean academic or text-based learning but an inquiry into the complex daily process of life, thought and emotion. It is important not to allow traditional structures of hierarchy and authority to come in the way of skepticism and questioning. We feel that the most basic learning that can happen is regarding ourselves, our conditioning, the conflicts in our minds and the social expression they have, the nature of our hopes, desires, ambitions and frustrations, and about what it means to live a fundamentally deep and peaceful life. Our education is an exploration of these questions. 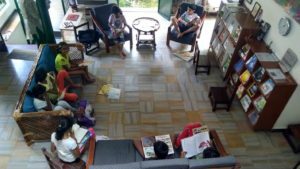 The work of J. Krishnamurti (1895-1986) has been of particular relevance to the teachers of the school both in their own lives and in their concerns about education. In his writings and talks to audiences all over the world, Krishnamurti emphasized the need for a fundamental transformation in human consciousness. The turmoil in our relationships and in the world is a reflection of our self-centredness and our confused attempts to escape pain and suffering. Without this transformation, he felt that there was no possibility of lasting peace and freedom for the individual or for society. 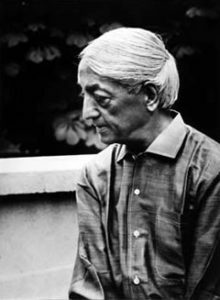 Krishnamurti was probably unique among seers in his unequivocal rejection of religious and spiritual authority. He refused to be cast as the guru, demanding instead that each one of us be “a light unto oneself”. He rejected method and practice, pointing out that these implied psychological time and a false sense of becoming. He spoke of the possibility of a choiceless awareness in the present that makes no effort to change or transform. Krishnamurti felt that education has a central role to play in nurturing a living awareness in the student and the teacher. The Krishnamurti Foundations set up many schools in India, America, and the U.K. and the teachings have been the inspiration for many others over the decades. © 2016 CFL. All rights reserved.